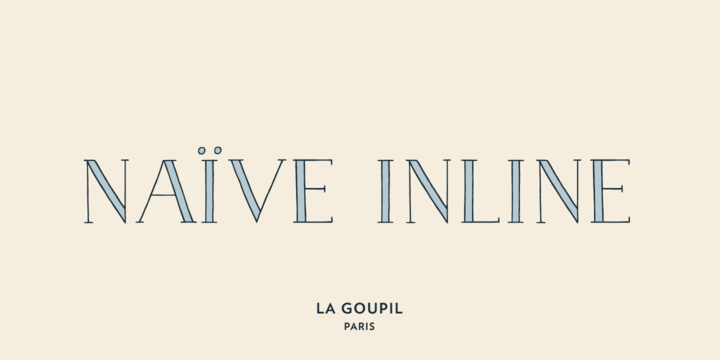 Naïve Inline can be referred to as a serif handwritten font designed by Fanny Coulez for La Goupil Paris. The all new Parisian typography has three weights that can be beautified with a ribbed, bicolor interior, or full to ensure a contemporary and remarkable feeling. Superimposing the 2 elements; the weight above, the interior below will help you achieve the goal.